Joe is driven by his desire to help businesses grow using a mixture of creative and analytical thinking. In May 2017, Joe graduated from Pennsylvania State University with a degree in Marketing. At Penn State, he served as Advertising Sales Manager of The Daily Collegian, the university’s student-run news organization. In this position, Joe helped local and national businesses engage with the Penn State community using print and digital advertising campaigns. 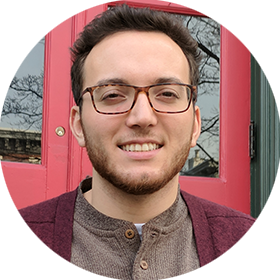 Joe fell in love with SEO during his summer internship with FourFront in 2016, and returned as a full-time SEO Associate after graduation. In this role, Joe conducts keyword research, helps develop content strategies, and measures content performance using data analytics. Joe’s mission is to provide resources for every step of a customer’s decision journey, and optimize those resources to drive visibility, leads, and conversions.